Glasgow’s European fixtures are out, and they have a new captain ahead of the PRO14 official launch event this week. In this weeks podcast Cammy, Rory, Al and Jack look back over Scotland’s Six Nations and Big Vern Cotter’s time in charge. Scotland faced Italy in their final game of the 2017 6 Nations looking for a bit of redemption, a bit of a result and a send off for Vern Cotter. The game wasn’t great but it was just about mission accomplished. Vern Cotter has named his final Scotland team to face Italy, in round 5 of the 2017 RBS 6 Nations. Guess who made it? (hint: all of them). 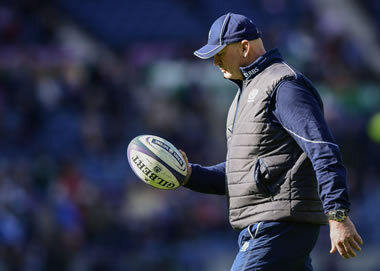 Gregor Thomson takes a look at the three stages of Vern Cotter’s all too brief Scotland reign and assesses what he needs to do to leave a positive legacy. Vern Cotter’s named his last Autumn International Scotland squad, and here it is.